This document still needs some cleanup! Sometimes you learn quicker from studying an example than from reading a tutorial or user guide. To help you we have created this collection of annotated examples. Beware that the script texts presented in this document may differ slightly from the corresponding example coming with the pyFormex distribution. To get acquainted with the modus operandi of pyFormex, the WireStent.py script is studied step by step. The lines are numbered for easy referencing, but are not part of the script itself. ##  geometrical models by sequences of mathematical operations. ##  Distributed under the GNU General Public License version 3 or later. ##  along with this program. If not, see http://www.gnu.org/licenses/. 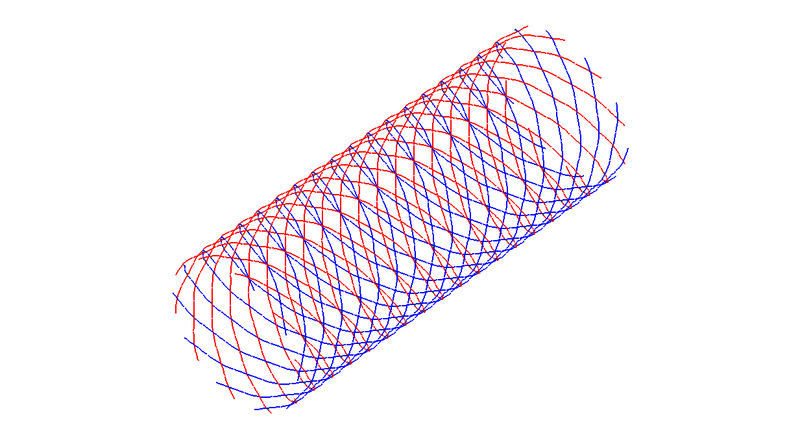 A pyFormex script to generate a geometrical model of a wire stent. This version is for inclusion in the pyFormex documentation. """Constructs a double helix wire stent. The stent is created around the z-axis. crossing. They can be switched off in the constructor. 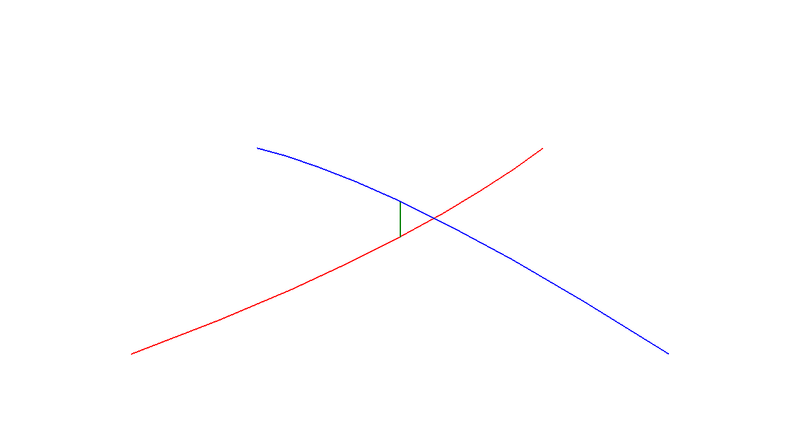 set with property 1 is winding positively around the z-axis. # scale back to size 1. """Return the Formex with all bar elements.""" 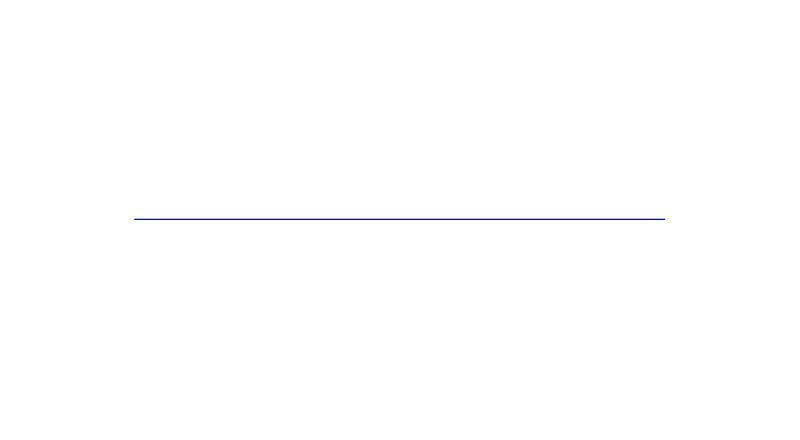 As all pyFormex scripts, it starts with a comments line holding the word pyformex (line 1). This is followed more comments lines specifying the copyright and license notices. If you intend to distribute your scripts, you should give these certainly special consideration. Next is a documentation string explaining the purpose of the script (lines 25-30). The script then starts by importing all definitions from other modules required to run the WireStent.py script (line 32). Subsequently, the class DoubleHelixStent is defined which allows the simple use of the geometrical model in other scripts for e.g. parametric, optimization and finite element analyses of braided wire stents. Consequently, the latter scripts do not have to contain the wire stent geometry building and can be condensed and conveniently arranged. The definition of the class starts with a documentation string, explaining its aim and functioning (lines 34-60). Number of wires in one spiral set, i.e. wires with the same orientation, (-). Extra radial distance between the crossing wires (mm). 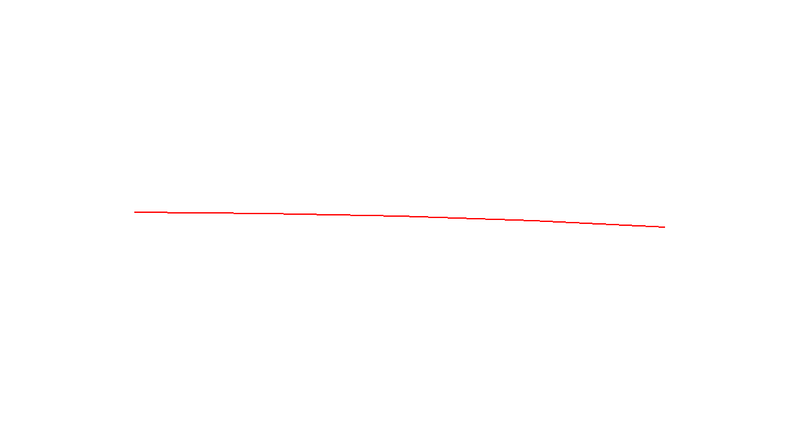 By default, is [0.0]mm for crossing wires, corresponding with a centre line distance between two crossing wires of exactly . Number of elements in a strut, i.e. 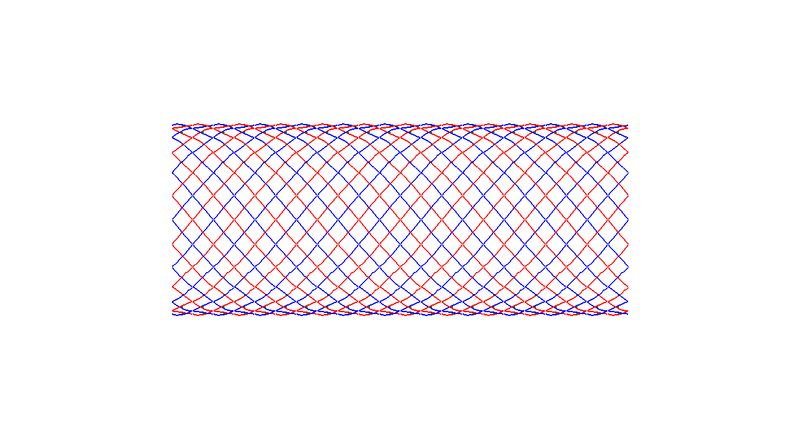 part of a wire between two crossings, (-). As every base element is a straight line, multiple elements are required to approximate the curvature of the stent wires. The default value of 4 elements in a strut is a good assumption. If connectors=True, extra elements are created at the positions where there is physical contact between the crossing wires. These elements are required to enable contact between these wires in finite element analyses. The virtual construction of the wire stent structure is defined by the following sequence of four operations: (i) Creation of a nearly planar base module of two crossing wires; (ii) Extending the base module with a mirrored and translated copy; (iii) Replicating the extended base module in both directions of the base plane; and (iv) Rolling the nearly planar grid into the cylindrical stent structure, which is easily parametric adaptable. Depending on the specified arguments in the constructor, the mean stent diameter , the average stent radius , the bump or curvature of the wires , the pitch and the number of base modules in the axial direction are calculated with the following script. As the wire stent structure is obtained by braiding, the wires have an undulating course and the bump dz corresponds to the amplitude of the wave. If no extra distance is specified, there will be exactly one wire diameter between the centre lines of the crossing wires. 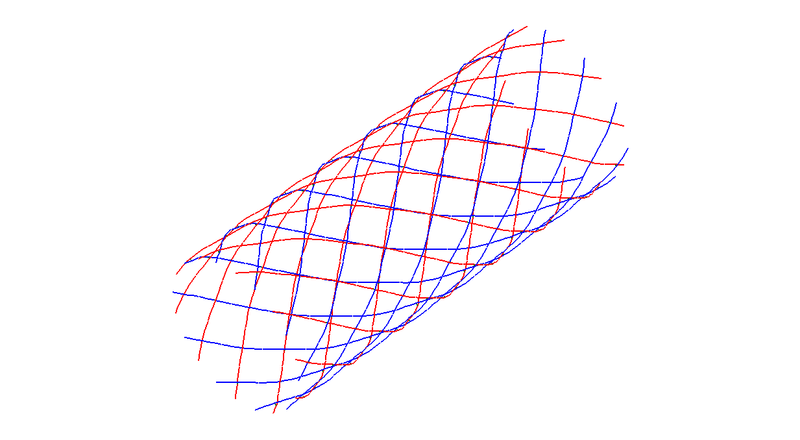 The number of modules in the axial direction is an integer, therefore, the actual length of the stent model might differ slightly from the specified, desired length . However, this difference has a negligible impact on the numerical results. Of now, all parameters to describe the stent geometry are specified and available to start the construction of the wire stent. 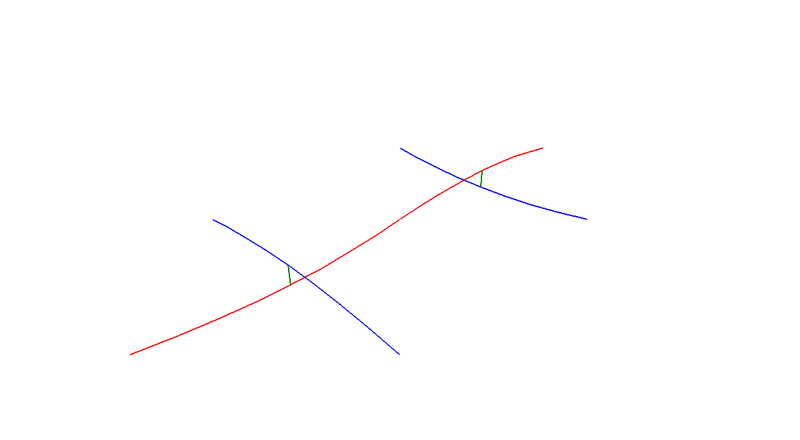 Initially a simple Formex is created using the pattern()-function: a straigth line segment of length 1 oriented along the X-axis (East or -direction). 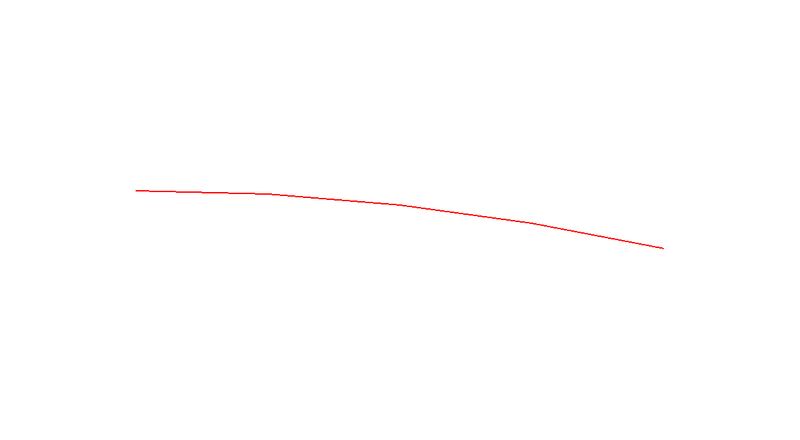 The replic()-functionality replicates this line segment times with step 1 in the X-direction ( -direction). 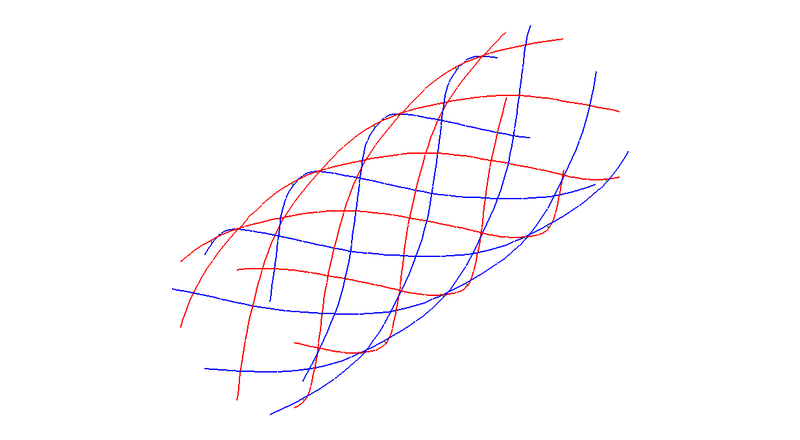 Subsequently, these line segments form a new Formex which is given a one-dimensional bump with the bump1()-function. 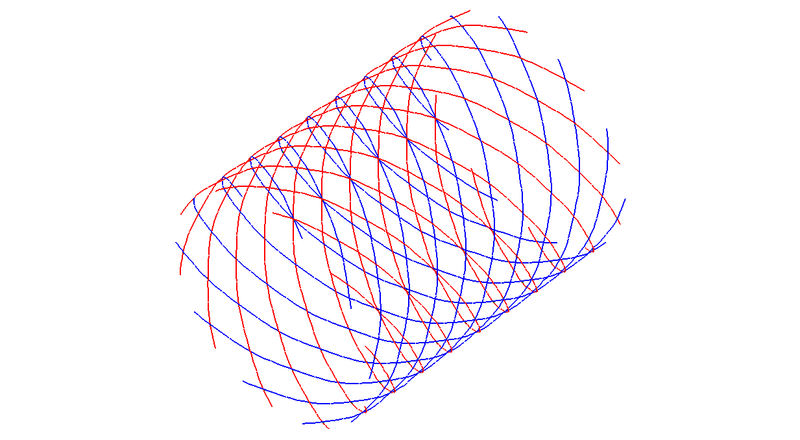 The Formex undergoes a deformation in the Z-direction ( -direction), forced by the point [0,0,dz]. The bump intensity is specified by the quadratic bump_z function and varies along the X-axis ( -axis). 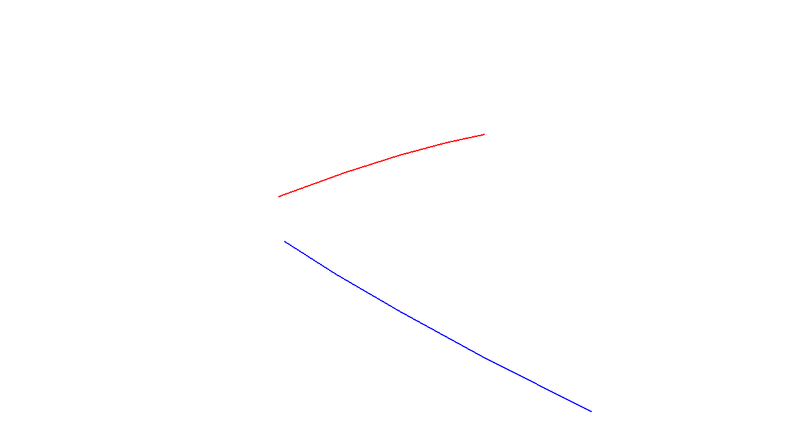 The creation of this single bumped strut, oriented along the X-axis is summarized in the next script and depicted in figures A straight line segment, The line segment with replications and A bumped line segment,. 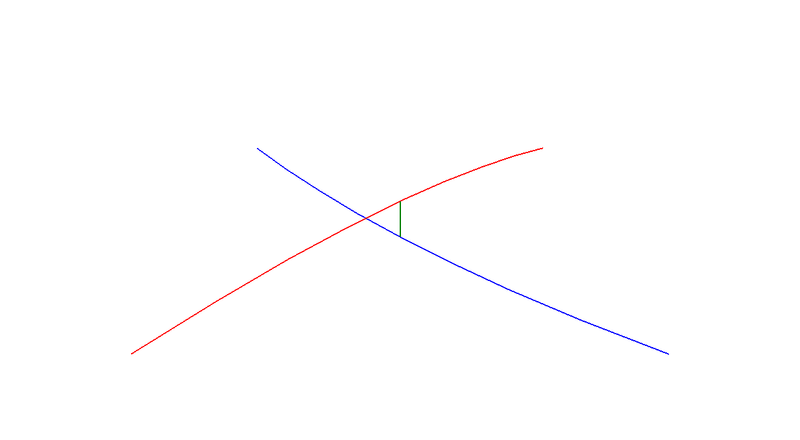 The single bumped strut (base) is rescaled homothetically in the XY-plane to size one with the scale()-function. Subsequently, the shear()-functionality generates a new NE Formex by skewing the base Formex in the Y-direction ( -direction) with a skew factor of in the YX-plane. As a result, the Y-coordinates of the base Formex are altered according to the following rule: . Similarly a SE Formex is generated by a shear() operation on a mirrored copy of the base Formex. The base copy, mirrored in the direction of the XY-plane (perpendicular to the -axis), is obtained by the reflect() command. Both Formices are given a different property number by the setProp()-function, visualised by the different color codes in Figure Unit cell of crossing wires and connectors This number can be used as an entry in a database, which holds some sort of property. The Formex and the database are two seperate entities, only linked by the property numbers. 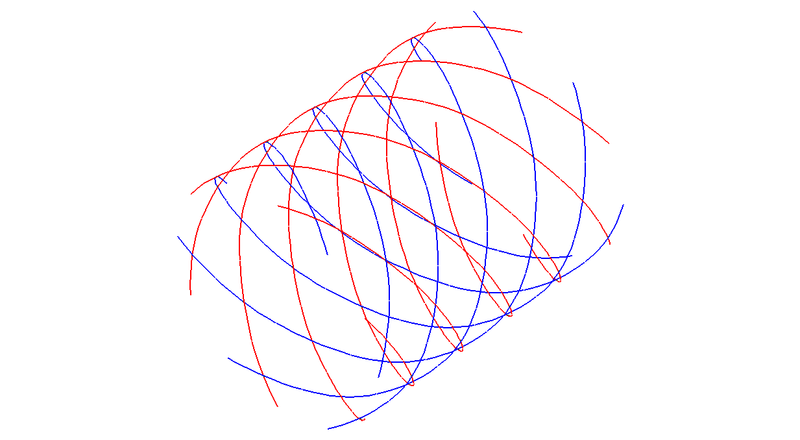 The rosette()-function creates a unit cell of crossing struts by rotational replications with an angular step of :math: deg around the Z-axis (the original Formex is the first of the replicas). If specified in the constructor, an additional Formex with property connects the first points of the NE and SE Formices. Subsequently, a mirrored copy of the base cell is generated (Figure Mirrored unit cell). Both Formices are translated to their appropriate side by side position with the translate()-option and form the complete extended base module with 4 by 4 dimensions as depicted in Figure Completed base module. Furthermore, both Formices are defined as an attribute of the DoubleHelixStent class by the self-statement, allowing their use after every DoubleHelixStent initialisation. Such further use is impossible with local variables, such as for example the NE and SE Formices. 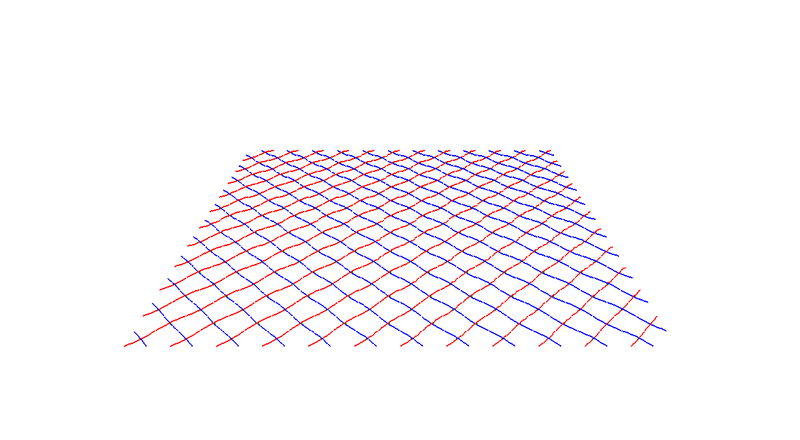 The fully nearly planar pattern is obtained by copying the base module in two directions and shown in Figure Full planar topology. 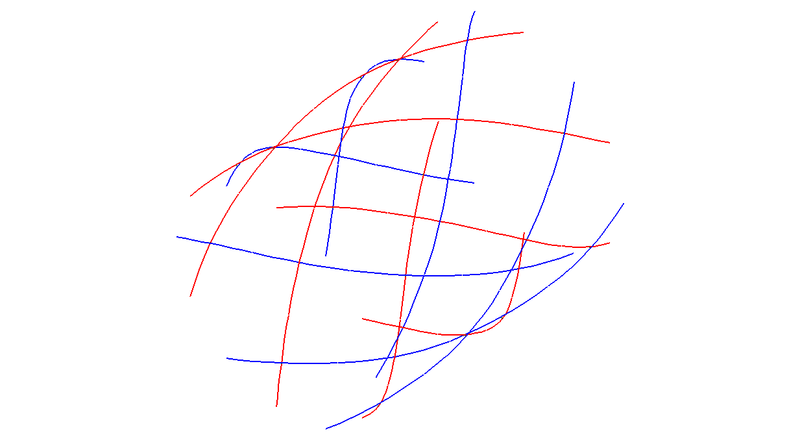 replic2() generates this pattern with and replications with steps and in respectively, the default X- and Y-direction. An inherent feature of script-based modeling is the possibility of easily generating lots of variations on the original geometry. This is a huge advantage for parametric analyses and illustrated in figures Stent variant with De=16, nx=6, \beta=25: these wire stents are all created with the same script, but with other values of the parameters , and . As the script for building the wire stent geometry is defined as a the DoubleHelixStent class in the (WireStent.py) script, it can easily be imported for e.g. this purpose. Obviously, generating such parametric wire stent geometries with classical CAD methodologies is feasible, though probably (very) time consuming. However, as provides a multitude of features (such as parametric modeling, finite element pre- and postprocessing, optimization strategies, etcetera) in one single consistent environment, it appears to be the obvious way to go when studying the mechanical behavior of braided wire stents. Besides being used for creating geometries, also offers interesting possibilities for executing specialized operations on surface meshes, usually STL type triangulated meshes originating from medical scan (CT) images. Some of the algorithms developed were included in . A stent is a medical device used to reopen narrowed arteries. The vast majority of stents are balloon-expandable, which means that the metal structure is deployed by inflating a balloon, located inside the stent. 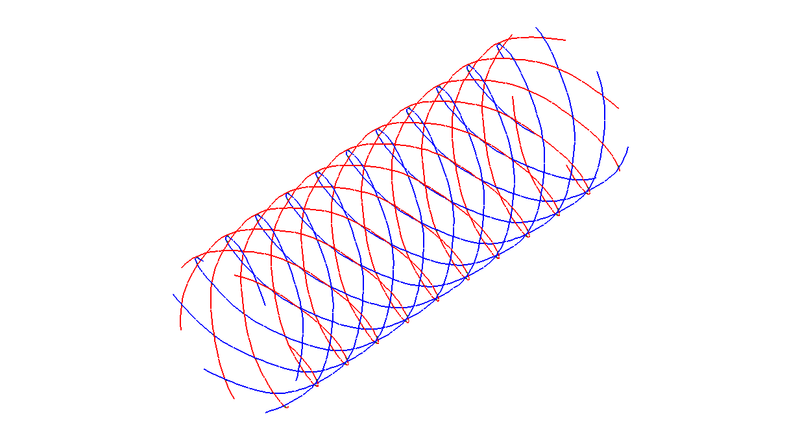 Figure Triangulated mesh of a Cypher® stent shows an example of such a stent prior to expansion (balloon not shown). The 3D surface is obtained by micro CT and consists of triangles. The structure of such a device can be quite complex and difficult to analyse. 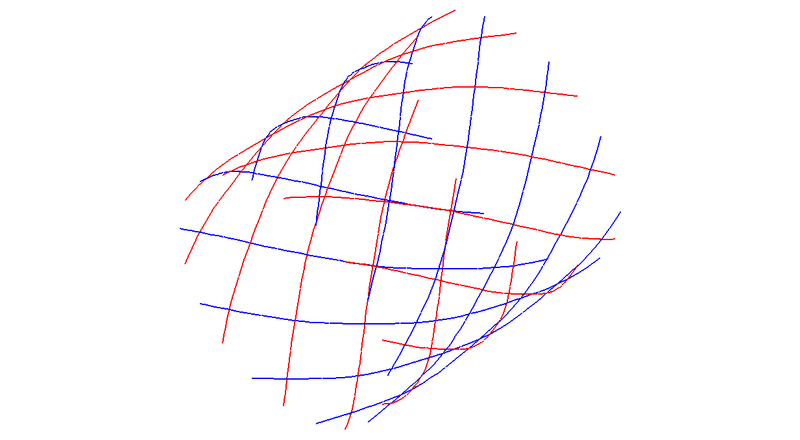 The same functions offers for creating geometries can also be employed to investigate triangulated meshes. 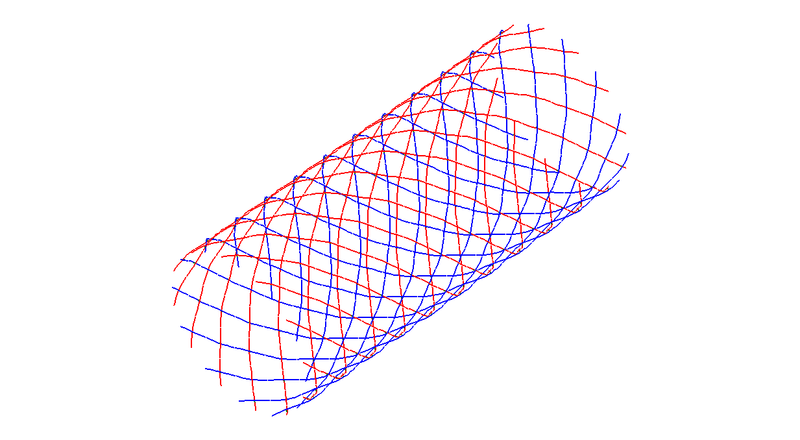 A simple unroll operation of the stent gives a much better overview of the complete geometrical structure and allows easier analysis (see figure Result of the unroll operation). The unrolled geometry can then be used for further investigations. An important property of such a stent is the circumference of a single stent cell. The clip() method can be used to isolate a single stent cell. 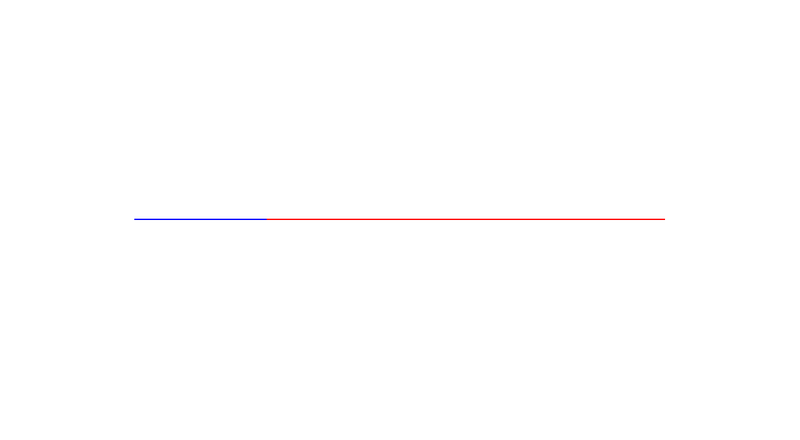 In order to obtain a line describing the stent cell, the function intersectionLinesWithPlane() has been used. 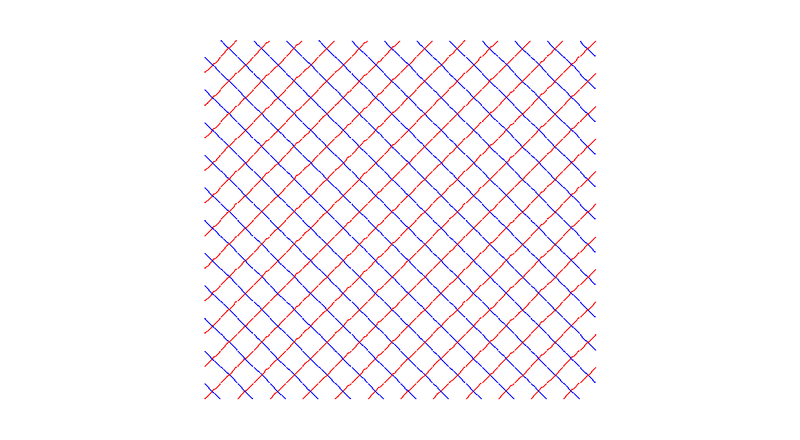 The result can be seen in figures Part of the intersection with a plane. Finally, one connected circumference of a stent cell is selected (figure Circumference of a stent cell) and the length() function returns its length, which is 9.19 mm.